This is an upgraded selection of Dutch Passion's valued former Afghan/Skunk. We improved the variety in 1997. The taste is softer than before and it boasts an improved yield. 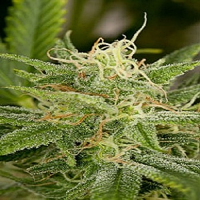 Mazar Feminized Marijuana Seeds by Dutch Passion Seeds. This feminized cannabis strain is one of the strongest and best varieties ever created by Dutch Passion. 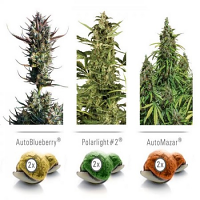 Mazar Feminized has a Christmas-tree appearance, with heavy-sided branches that ensure large harvests. The growth vigour and toughness of this female weed strain make it a great choice for new and less experienced growers. 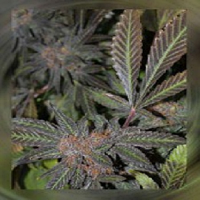 This female marijuana plant is a real Afghani hash plant with extremly heavy resin production and gret potency. One of the first Dutch Passion varieties available in feminized seeds, Mazar has been used by other weed seed banks to create new varieties. 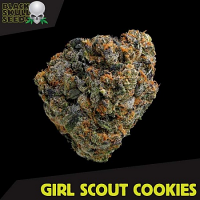 These female cannabis seeds produce sticky, highly aromatic, sweet, and earthy buds with the taste of a good Afghani hash and hints of pine/citrus. The effect is strong, very physical, and powerful yet relaxing.